When you are looking for flats to rent in London, you want to be sure that you have the best selection at your finger tips. InStyle Apartments, with its exhaustive portfolio of rental properties provides you with the ideal home located in the best residential areas London has to offer. 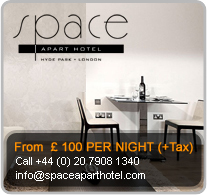 Whether you want 1 bedroom flats to rent or 2 bedroom flats to rent in London, InStyle Apartments has it all. Regardless of whether your personal choice is contemporary style or a classic period conversion, all you have to do is get in touch and let us find you a home you will love living in. Renting in London can be a daunting experience if you have not done it before, but at InStyle Apartments, what sets us apart is the fact that we are the landlords who manage and rent apartments in London. To you, this translates into a better experience with an efficient service and a direct contact. Given that we manage all properties in-house, be it 1 bedroom flat to rent in London or 2 bedroom flats to rent in London, we take care of every detail and leave you to enjoy the comforts of a secure, comfortable home. 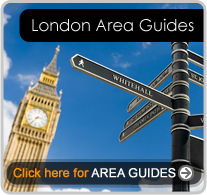 Looking for a rent apartments in London ? Disclaimer : as furnitures and other decor items may change from time to time in the flats marketed to let the pictures advertise may not reflect the actual items in the flats.